Bloody hell, Amplifier weren’t lying when they told us that ‘The Octopus’ was an “apocalyptic” two hours! Two CDs and 16 tracks, there’s more than enough here to make up for the four-year absence between albums. 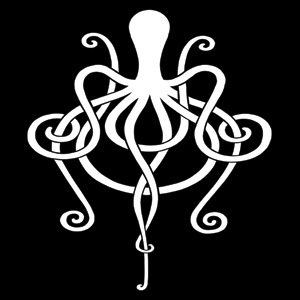 If you like your riffs loud, your solos frequent and your time signatures jumpy, ‘The Octopus’ is exactly what you’re after. On the first CD, previously released track ‘The Wave’ is sludgy but by introducing handclaps in the middle-eight Amplifier showcase a pop-like aspect that’s previously not been heard by the three-piece before. On the opposite end of the spectrum the album’s title track is possibly one of the most haunting things we’ve ever heard (and potentially the band’s best song to date). After many scientific tests we are able to confirm that listening to this song before bed will relax you and send you to a stress-flee Land Of The Nod. The nine-minute ‘White Horses At Sea / Utopian Daydream’ is another of ‘The Octopus’’ highlights. With strings reminiscent to many of Silverchair’s ‘Young Modern’ moments, the mostly slow track features some massive crescendos and devastatingly beautiful instrumental build ups. Consistent throughout, this reviewer’s potentially found her favourite album of 2011 already.